A few male Common Darters were active around the pools at Windmill Farm Nature Reserve on The Lizard in Cornwall at the weekend, despite the sea mist being driven across the reserve by strong southerly winds. Other dragonfly species seen were Four-spotted Chaser (Libellula quadrimaculata), Black-tailed Skimmer (Orthetrum cancellatum) and Emperor Dragonfly (Anax imperator). 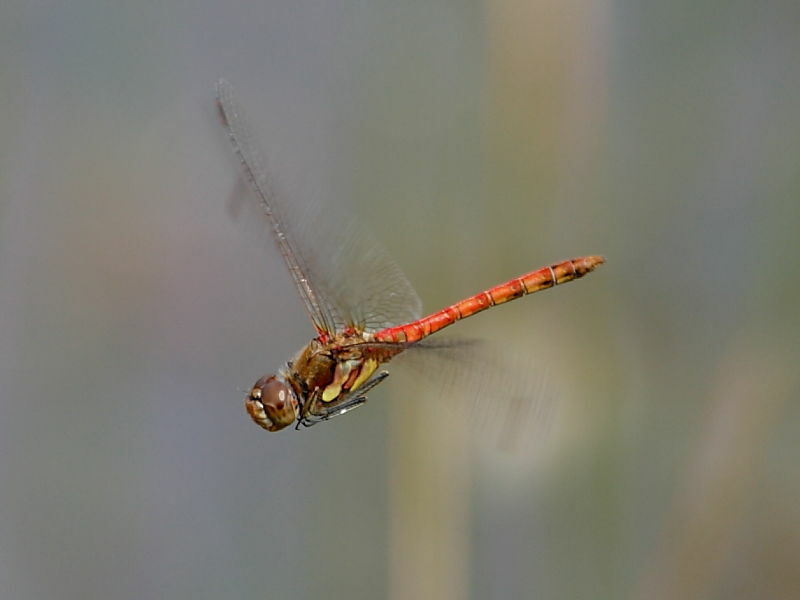 Insight into Common Darter (Sympetrum striolatum): a small dragonfly, common throughout most of the UK but less so in Scotland, it’s normal flight period is from June to October. It breeds in still waters but may be seen some distance from water.